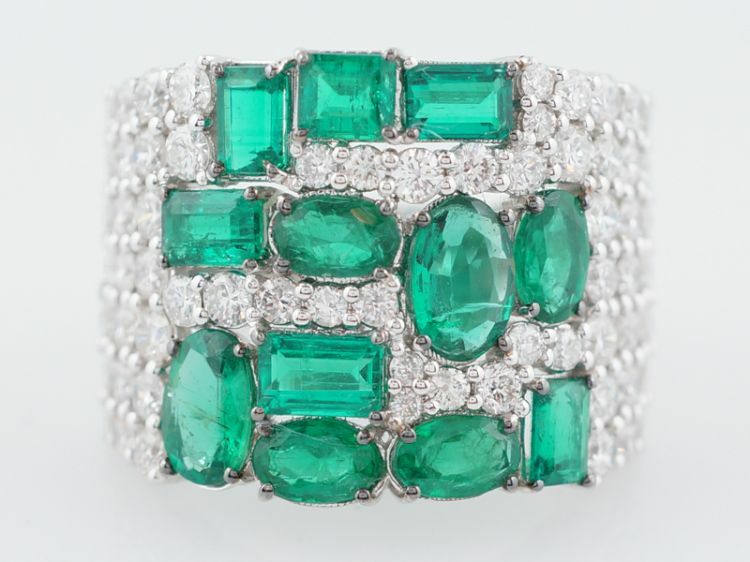 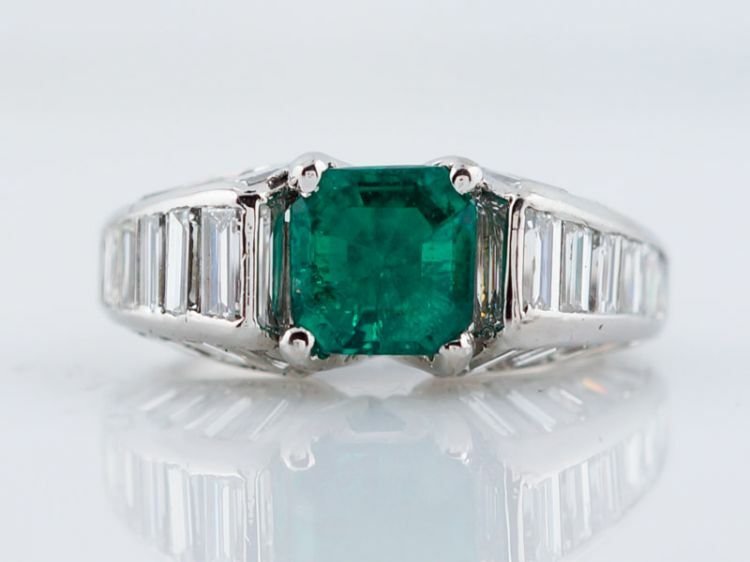 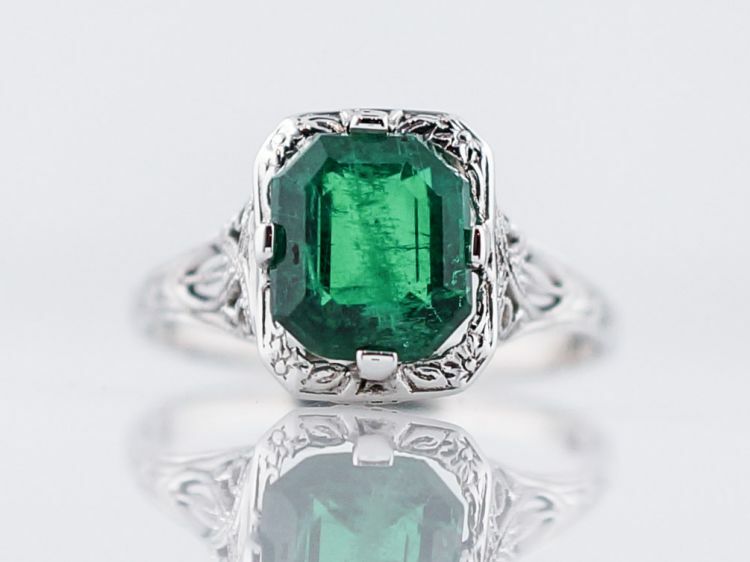 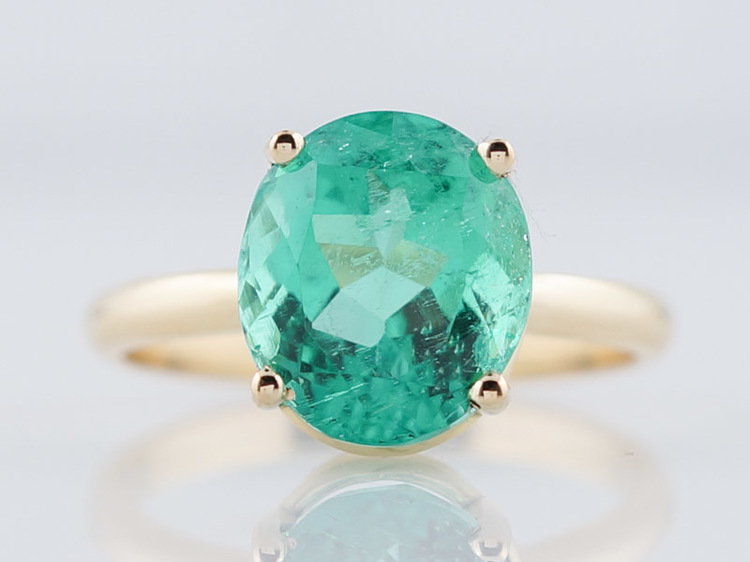 This emerald ring is a prime example of the geometric Art Deco look. 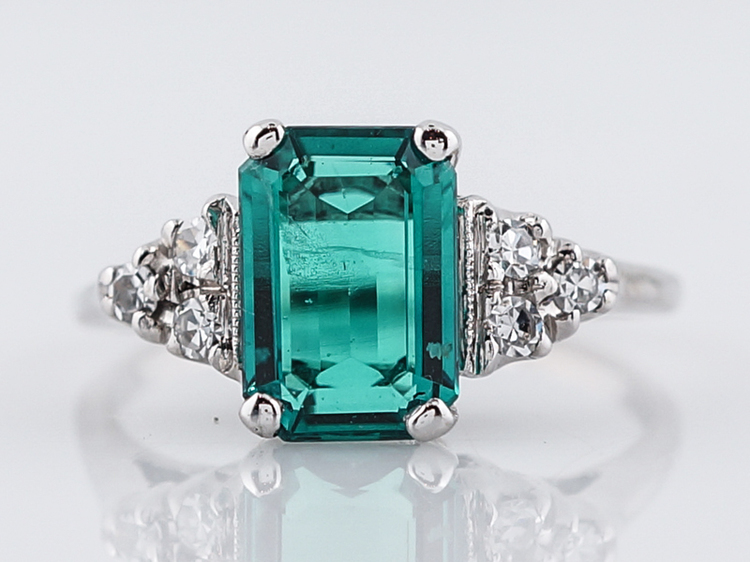 The emerald cut emerald has a sleek rectangular shape that elongates the finger. 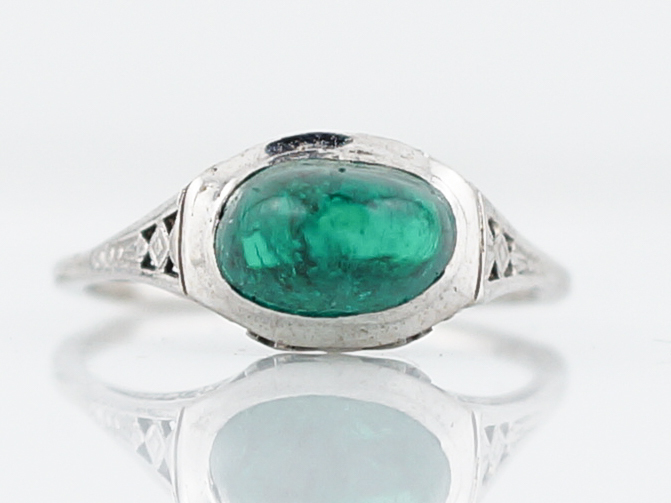 The same shape is repeated in the openwork detail on both sides of the stone. 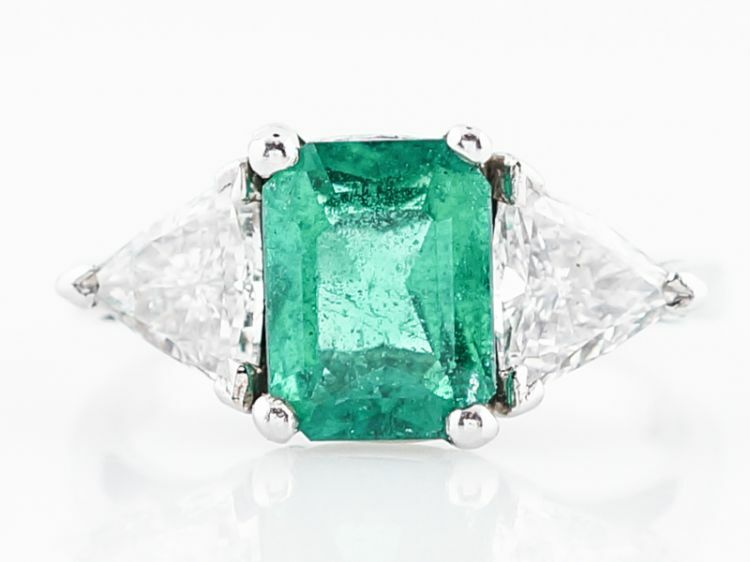 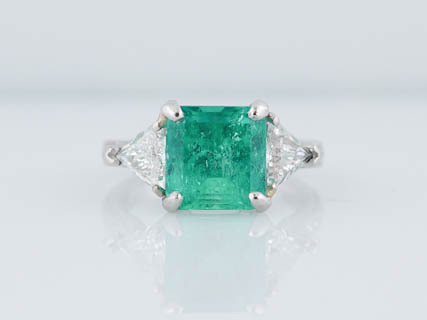 The emerald is framed by glittering single cut diamonds totaling .30 carat in weight. 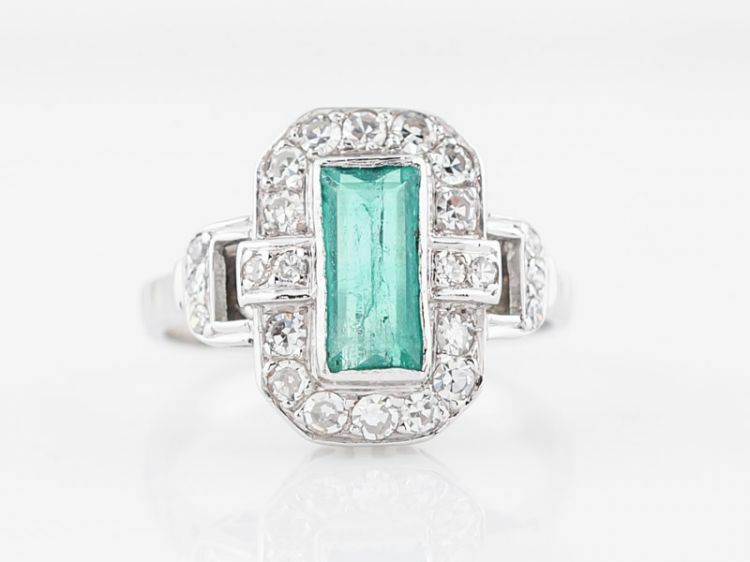 This striking right hand ring is made with 14k white gold.